Being a single parent, providing and taking care of three children is not a joke. I need to see to it that I provide them with all the best things I can afford. Though I am stingy because of our family budget, “all the best things I can afford” doesn’t necessarily mean I buy cheap products for my kids. In the contrary, I prefer buying quality products because my children are asthmatics, thus, they are sensitive to many things. So, to prevent attacks, I don’t buy them food, clothes, and toiletries just like that. I always make sure that I buy something that will not trigger sensitivity to their skin or their noses. I don’t want them to have an asthma attack. I firmly believe that prevention is better than cure. That is why, I was ecstatic to learn that Belo, one of the leading skin care authorities in the Philippines, has launched a new product line for babies and children – Belo Baby! The Belo Baby product line is made from 100% certified natural ingredients. And guess what?! They also made sure to leave out all harmful chemicals like SLS, sulfates, parabens, phthalates, dyes, sodium chloride, formaldehyde, MEA, DEA, TEA, EDTA, silicones, formaldehyde, sodium tallowate, tetrasodium etidronate, triclosan, synthetic preservatives, paraffin, petrochemicals, and other allergens MAKING Belo Baby product line 0% from harmful ingredients! Best for babies and children with the most delicate skin and sensitive noses, just like my kids! The Belo Baby product line consists of a Bar Soap and a Face and Body Lotion that are all rich in certified natural Cocoa Butter, Shea Butter and Sweet Almond Oil to nourish and condition delicate skin. They also have a Hair and Body Wash that is also rich in certified natural Shea Butter and Sweet Almond Oil. They also have Baby Colognes in three different variants called Sweet Snuggle, Happy Tickle, and Cool Drizzle. What does Cocoa Butter, Shea Butter, and Sweet Almond Oil do for your baby/child’s skin? Belo Baby made sure that their product line is safe (no harmful ingredients), natural (100% certified natural ingredients), and gentle (even newborn babies can use it). My youngest daughter who is now 6 years old is using the products. She takes a bath by herself already. So I asked her how she finds the Belo Baby product line, then she told me that she likes it very much. She loves the smell and it feels good in her skin. As for me, one thing I noticed is that the rashes she got from the summer heat is slowly fading. I guessed the Cocoa Butter relieved it from rashes and Shea Butter did its finest work in healing her skin. Belo Baby products are now available in leading supermarkets like SM, Robinson’s, Rustans, as well as drugstores like Watsons nationwide. You can also buy them from online shops like Lazada and Zalora. Those sound like lovely baby products. I have 10 nieces and nephews under the age of 4, so I will tell all my SIL’s about this. This sound like a great line of baby products. I’ve started moving away from the baby stuff but maybe I should go back since they’re so much more gentle and smell good too. When it comes to baby products, I definitely try to stick to all-natural products. This line of products sounds like it’s effective and good for the skin. I’d love to try this. My daughter just had a baby so she is on the hunt for the best baby products. This sounds like a brand she would love o check out. I love that they use all natural ingredients. My children are older now and I don’t use baby products but I wish that I did. These baby products sound wonderful for new moms to use for their babies. My sister-in-law loves all natural products. My nephew is just barely over a year old and I know she would love some of these products for him. I have to tell her about them if she has not already heard about them. I’ve never heard of this brand before. It’s been so long since my girls were babies. Though, my older daughter, now a mother might be interested in these. I’m going to send her your link. This looks like a fantastic brand for new moms of babies, I don’t have any children but could see that I would use this line if I had a child. Oooo this product line sounds pretty fabulous!!! I have a little one this line would be perfect for! Definitely going to be purchasing! That sounds like a nice brand for sensitive skin. It sounds like a great shower gift. 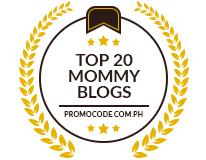 The Belo Baby Products sound amazing for any baby indeed. I love that their products are made with 100% natural ingredients and no harmful ingredients that other baby products contain. These products I am going to have to share with my sister for my lil nephew. Thanks for sharing these awesome products. I’ve never heard of Belo Baby Products before – this looks like a really great line! I am about to having baby #7 and would love to use these products! Seeing from the pictures that you posted here, it looks like a great product for the babies. I’m sure a lot of mothers would like to try these on their babies as well. All natural products give you the confidence of knowing that there is nothing added to irritate the skin. I have never heard of Bello but will be checking them out now! That’s so smart to think carefully about sensitivity. You just never know. Belo Baby sounds like something that any new mom would appreciate. Sounds like a great brand! I love all natural and made of safe ingredients products! Sounds like a wonderful brand. I am definitely going to check them out! Thank you for sharing.